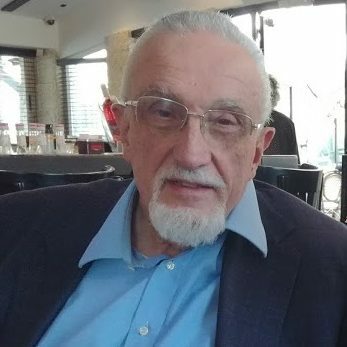 Dr.Manfred Gerstenfeld: Trump’s Peace Plan and 37 senior European Hypocrites……. – The Tundra Tabloids……. 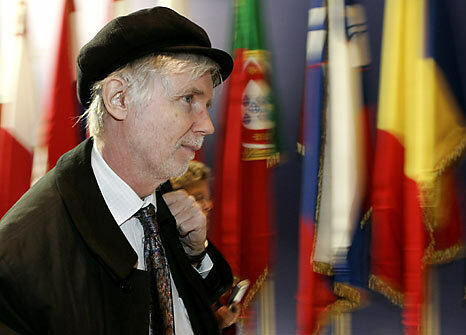 Of course, Finland’s openly hostile to Israel former FM, Erkki Tuomioja, was one of the signees to the letter. In the heading of the article the signatories urged the EU to reject any U.S. Middle East plan unless it is fair to Palestinians. What fairness means to people who acclaim and reward murderers of civilians and name streets, sports facilities and so on after the most revered killers is not explained in the letter. Lena Hjelm-Wallén, a former Swedish social democrat foreign minister was also a signatory of an anti-Israeli letter in 2014 of people who arrogantly called themselves “European eminent persons.” One suggestion of the letter was that the Arab Peace Plan composed in 2002 could form a pillar of a new EU approach.5 Yet another signatory of both letters was the conservative Benita Ferrero-Waldner, former European Commissioner for External Relations and former foreign minister of Austria. Yet another double signatory is socialist former NATO secretary general and Spanish foreign minister Javier Solana. The only German signatory is the former foreign minister and ex-leader of its socialist party, Sigmar Gabriel. He accused Israel of being an apartheid state. Gabriel apologized for this statement only many months later. Former Irish President Mary Robinson co-wrote in 2014 a pro-Hamas letter jointly with former U.S. President Jimmy Carter in the Guardian in 2014. It said: “Only by recognizing its legitimacy as a political actor – one that represents a substantial portion of the Palestinian people – can the west begin to provide the right incentives for Hamas to lay down its weapons:”8 With the aforementioned names the list of anti-Israel inciters among the signatories has far from been exhausted. The Belgian liberal Karel de Gucht, a former Belgian foreign minister, said in 2010, “Don’t underestimate the power of the Jewish Lobby on Capitol Hill.… You shouldn’t underestimate the grip it has on American politics, no matter whether it’s Republicans or Democrats.”10 Such a list of signatories is rarely complete without a Jew. In this case it is David Miliband, a former UK Labour foreign minister. He would have done better to be more actively involved in fighting the widespread antisemitism in his party, which leader he once wanted to become. The signatories of the letter almost all hail from countries which supported the decision of the Board of the International Holocaust Remembrance Alliance (IHRA) to accept the working definition of antisemitism.11 This text says that manifestations of antisemitism might include “the targeting of the state of Israel, conceived as a Jewish collectivity.” The definition says that applying double standards by requiring of Israel a behavior not demanded of any other democratic nation is an antisemitic act. Such double standards and manifestations of antisemitism occur every year at the General Assembly of the United Nations. There is no other nation which has been attacked by anyway near the many hundreds of resolutions against it as Israel has in the past decades. This despite the fact that many UN members are guilty of extreme war crimes and human rights violations. There has not even been one resolution against Hamas.12 Many of the signatories of the letter to the Guardian were ministers in their countries. Quite a few of them are responsible for their participation in their country’s antisemitic acts when voting for the huge number of anti-Israel resolutions at the United Nations. One wonders what the signatories of the letter to the Guardian have done to combat the rising antisemitism in their countries. If anything at all it has not been successful. Instead they continue their obsession with promoting the interests of the Palestinian Authority which rewards the murderers of Israelis, many of which are civilians. There is little reason to believe that if the Palestinians get a state, as the signatories want, the terrorist murders of Israelis will stop. For many centuries, antisemitism has been deeply interwoven with European culture. The letter of the 37 senior European hypocrites in the Guardian reflects that culture. Previous Post Previous Post Gatestone: European Churches: Vandalized, Defecated On, and Torched “Every Day”……..
Next Post Next Post Dr.Manfred Gerstenfeld: The Socialist International Should suspend UK Labour Party…….